Show visitors can tour this area of the Show for help finding the home of their dreams, whether they are looking to buy or build. There will be builders for large, small and custom homes, from the mid 100s to 2 million or more, and information on subdivisions from all over the St. Louis area. Sponsored by St. Louis-Kansas City Carpenters Regional Council and Metro Lighting. Consort Homes - Booth 1803. The Consort Homes’ story is rich in St. Louis homebuilding history, beginning more than 85 years ago with The Jones Company and continuing since 2005 and the founding of Consort Homes. Both Consort Homes and The Jones Company of Tennessee are still family-owned and continue the long history of providing value and customer satisfaction to homebuyers. Consort Homes takes a smart "responsible approach" to building comfortable, long-lasting, energy efficient and environmentally responsible new homes. They always build in the best locations and provide the best value. Consort Homes builds homes from the $200s-600s in St. Charles County, St. Louis County and Jefferson County. Fischer & Frichtel Custom Homes - Booth 1817. Fischer & Frichtel builds top quality homes in the most sought after areas in St. Louis and St. Charles counties. From single-family homes and condominiums, to gated luxury villa neighborhoods and custom designs, they offer a “home style for every lifestyle.” Providing the right home in the right place has kept Fischer & Frichtel at the forefront of the home building industry since 1945 and garnered them countless awards for excellence in design, craftsmanship and customer service. They are currently building communities in Town & Country, Wildwood, Weldon Spring, St. Albans, Eureka, St. Charles, Cottleville, O’Fallon and Wentzville. Prices range from the $200s to $1 million+. HomeSource Custom Homes - Booth 1821. HomeSource Custom Homes has delivered excellence in custom home building for more than 35 years with a unique blend of quality, attention to detail and client satisfaction. Their “Build Custom for Less” program allows their clients to save 10-30% on their custom dream home. They aim to build a home far superior to a typical homebuilder and deliver end results that not only meet, but exceed expectations. While many “custom” builders have a handful of pre-selected plans, HomeSource designs one-of-a-kind homes, reflecting their owners’ unique personality. They specialize in unique homes, such as Timber Frame, SIPS, and log homes, which all come with a 10-year new home warranty. Lombardo Homes - Booth 1806. Lombardo Homes specializes in building new construction homes customized to fit any lifestyle. They believe that a new home should be more than just a place to live – it should be a place to grow and create memories that will last a lifetime. That’s why they work closely with their customers to understand and customize to fit their needs and design a home that reflects who they are and what they love. Founded more than 50 years ago, they have established a reputation for home building excellence. With new homes in Michigan and St. Louis, Lombardo Homes is dedicated to creating an elevated home buying experience where customers can make their dream home a reality. McBride Homes, Inc. - Booth 1802. McBride Homes currently builds in over 40 communities in the St. Louis metro area. McBride is based in Chesterfield and is the largest builder in the state of Missouri. Their philosophy is simple – provide their customers with excellent value and superior craftsmanship that meets or exceeds their expectations in design, quality and customer service. With more than 70 years of homebuilding experience, McBride’s mission is to continue providing a wide range of homes and products to fit everyone’s lifestyle, with pricing from the mid $100s to more than $1 million and the best locations throughout St. Louis. McKelvey Homes - Booth 1816. Established in 1898, McKelvey Homes is Missouri’s oldest and most well-established name in home-building. It is their mission to find the most appealing neighborhood settings in terms of topography, homesite size and privacy and proximity to AAA-rated schools, parks, entertainment and major thoroughfares. They have seven locations in St. Louis and St. Charles and several offsite homesites to choose from. Every McKelvey Homes community features a sophisticated portfolio of floor plans that place a premium on luxury and value while maximizing space, volume, livability and functionality. They gladly accommodate requests to customize and build homes from the $320s to $1 million+. Payne Family Homes - Booth 1820. Founded in 2006 by David Payne, Payne Family Homes has assembled a stellar team of experts to design and build homes worthy of the Payne name, including experienced residential construction executive Ken Kruse as company president. Payne starts by thinking from the buyer’s perspective about every decision made in creating a home and builds the best, most ingenious, and stylishly practical layouts. Payne’s award-winning homes are recognized for remarkable quality with luxury features built-in, all crafted to last for generations. Payne offers new home communities in St. Charles, St. Louis and Jefferson Counties starting in the $190s up to more than $600,000. St. Louis-Kansas City Carpenters Regional Council - Booth 1812. The St. Louis-Kansas City Carpenters Regional Council knows that buying a home is one of the most important decisions people make. The right home – built by the right team – will stand proudly and securely for years to come. The council provides their contractors with the most skilled and productive workforce available and strives for advanced training and technology that gives their members the competitive edge. Union-built homes give their expert men and women the chance to showcase their significant skills and talents. The experienced craftsmanship that goes into each one lets the homebuyer know that they’ve made a solid choice. Visit their booth for a chance to win $2,500 toward closing costs on a new home, with participating builders (restrictions apply). 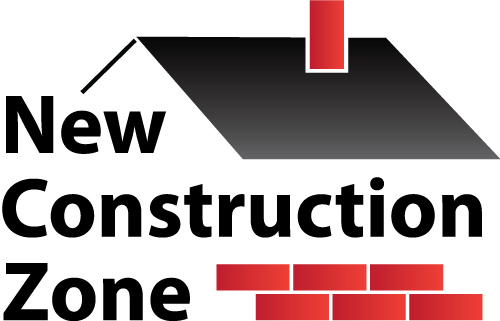 There will be one winner with each of six participating builders: Consort Homes, Fischer & Frichtel Custom Homes, Lombardo Homes, McBride Homes, McKelvey Homes and Payne Family Homes. Metro Lighting - Booth 1813. Metro Lighting is a locally-owned family business that began in a garage in 1967 and has grown to six lighting showroom locations that serve St. Louis, St. Louis County, St. Charles County, Jefferson County and Cape Girardeau. Metro Lighting’s American Lighting Association (ALA) certified lighting specialists provide lighting design and layout to customers building or renovating homes. Visit them for information on lighting solutions for any project, energy savings, Metro’s services and locations. Groundwork Mortgage - Booth 1807. Groundwork Mortgage, NMLS 1211416, believes in the dream of new home ownership and empowers Missouri and Illinois customers with best-in-class mortgage solutions to achieve their new home purchase goal on time, on terms, on budget and with confidence and ease of process. Groundwork is expert at navigating the complexities of new construction purchases and deploys a dynamic market of loan products and special programs to help customers achieve their goals. Their team of licensed professionals serve as trusted advisors educating and advocating for their customers, helping them navigate the mortgage application, approval and closing experience.